Here is the price list for the Skipass is official for the winter season 2018-2019. Click on the image to the right for a larger view! The ski pass from 4 days includes the evening of night skiing on Thursday and Tuesday evening (3 floodlit slopes and a snowpark). 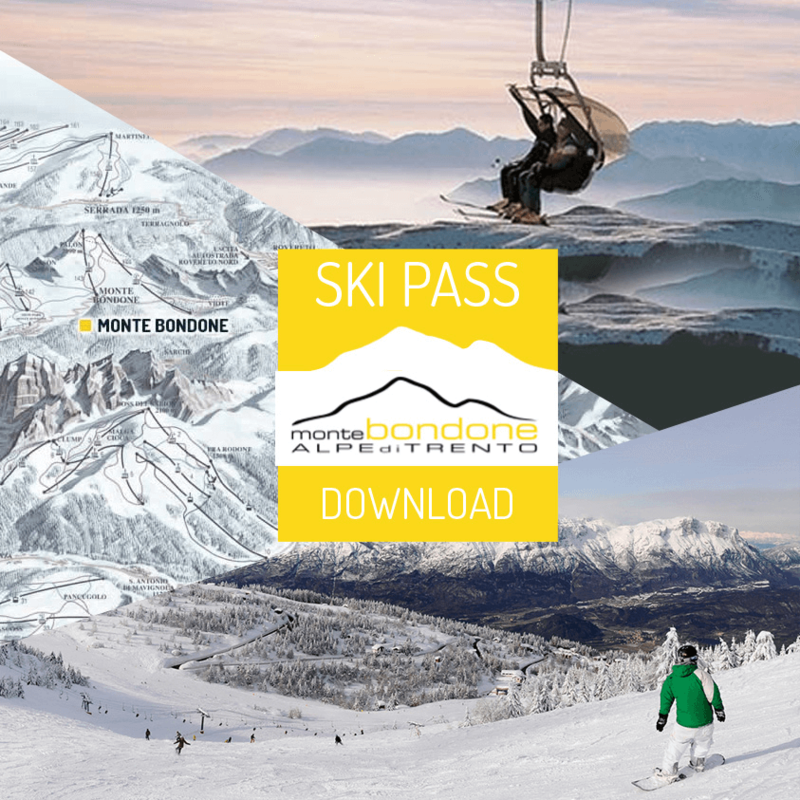 Children born after the 30/11/2010 (proof required) receive a free ski pass from 1 to 14 days if a familiar adult buys at the same time the same type of skipass at the price list (ratio 1:1, 1 paying adult a child free of charge). 6 days Skipass Monte Bondone interchangeable between 2 people to allow parents to ski, alternating in the care of the children (you can not use contemporary). The 6-day ski passes include one free day of skiing in Paganella and one day of skiing in Folgaria (within the period of validity of the ski pass).